Potty training can be a stressful time in a parents life due to the unnecessary pressure to have our children grow up so fast. It seems that every milestone is accompanied by someone asking about how old they were when they accomplished this or how their children had done it first. With these potty training tips & printable I hope to make this experience an enjoyable and rewarding time for you and your child. Don’t let the pressure get you down, let your child go at their own pace and enjoy these times as they will be over before you know it! These are the times that memories are made of and the last thing you need is to look back and regret how you handled these precious moments. Does your child show interest in using the potty? Is it obvious when your child has to go? Do you see facial expressions or does your child pull up or down their own diaper? Are they asking about big girl/boy underwear? All of these actions are a sign that your child is ready to start potty training. The first step is to get a potty chair and place it in the bathroom. I prefer the potty chairs with the realistic flushing sounds and motion, I feel this is encouragement for your child to do their business. The next important step is to make note of when your child has to go each time. Ten minutes after eating or drinking is a great time to try and if your child does get to the potty on time, reward them. Make sure they know that you are proud by clapping, verbally expressing your feelings, and adding a sticker to a chart so they can physically see their accomplishment. 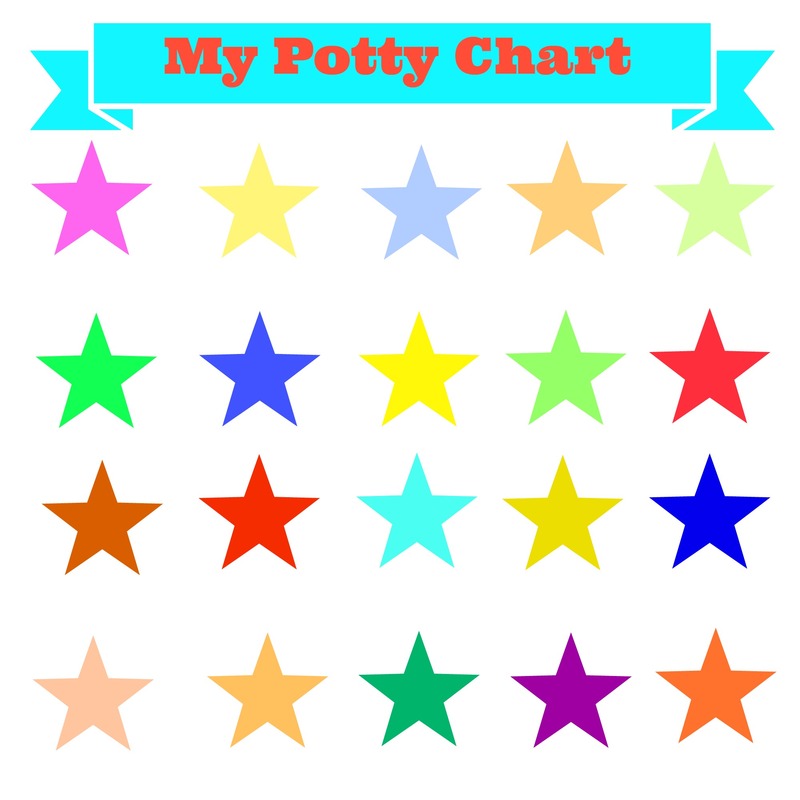 Print the chart below and add a sticker to each star every time they use the potty and after 5 stars are full give them a reward like special treat or a funny dance off with mom. Once the whole chart has been filled reward them with a trip to the park or a new toy to remind them of how they should keep trying to hit their goal. Once your child gets the hang of the new potty schedule it may be time to reward them with their big kid underwear. Maybe after filling a couple sticker charts you can reward them with it and that will be a great incentive for them to get to the potty on time, so that way they won’t ruin their new underwear. How did potty training go for you and your children? What tips and tricks can you offer others that may help?